We Congratulate You for Being Proactive About Your Tap Water! …And You Don’t Even Know It!! Nuisance Contaminants are easy to spot—your well water smells like ‘rotten eggs’ or other unpleasant odors; when you drink the water, it tastes ‘funny’. But, the Health-Risk Contaminants in your well water are not so obvious at all. You only know you have a problem when you or members of your family begin to have unexplained health issues like stomach aches or other gastrointestinal disorders. Chlorinating your well on a regular basis gets rid of most, if not all, of the contaminants that cause both health related and taste and odor related issues. 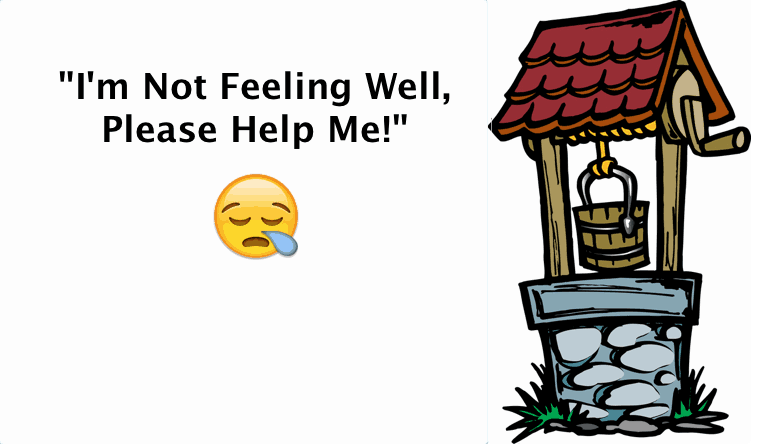 If you do chlorinate your well, you will end up with safe, clean and good tasting water for you and your family. If you are drinking bottled water today because you don’t trust your well water, now you can stop spending all that money and stop putting plastic water bottles in our landfills. If your drinking water comes from a well on your property you and only are responsible for testing the water to assure that it’s safe to drink. Water testing by a professional lab lets you know what’s in your water so you can then take the right steps to correct any problems or contaminants found in your water. We are committed to doing everything we can to help people all around the world have easy access to safe, clean drinking water and safe and effective sanitation facilities. As part of this commitment, we are giving a portion of every dollar in revenue to the Rotary Foundation for Water and Sanitation projects around the world. 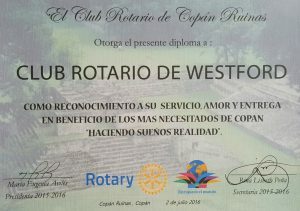 One of our co-founders is a member of Rotary International. He headed up a team in his local Rotary Club that sponsored a water and sanitation project in the Ostuman community located in the village of Copán Ruinas, Honduras. This project brings clean drinking water and sanitation facilities to a community of over 1250 people. His club, along with contributions from a couple of outside groups, donated over $20,000 to the project. Thanks to his Rotary District and the Rotary Foundation’s matching grant programs, the total amount contributed by Rotary to this project exceeded $55,000. The non-profit organization that managed the project on the ground in Honduras, Water Missions International, contributed $10,000 towards the project. The results of the water testing performed by Drinking Water Specialists, LLC is for informational purposes ONLY. While the lab performing the testing does follow USEPA testing methods and is certified by the New Jersey Department of Environmental Protection for performing in-state water testing, the results of our mail-order testing cannot be used for regulatory compliance purposes. One of the main reasons is that we do not have chain-of-custody from the point where the water samples are drawn through to their arrival at our lab.